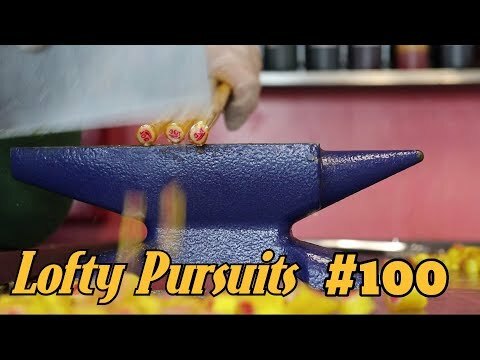 The 100% emoji is the perfect way to celebrate 100 episodes for this candy making channel. Watch as they take their sugary skills up a notch and keep it 100%. Some desserts look just too good to eat and pastry chef Cédric Grolet is a master of his craft. Lets see how these realistic creations are made ready to be devoured. 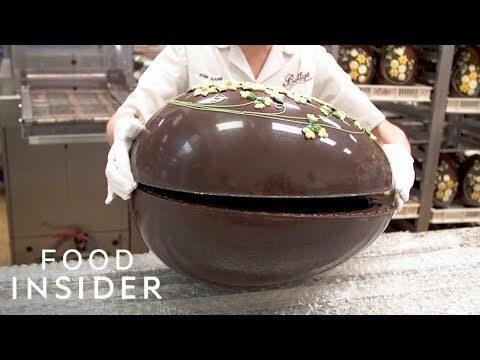 Take a look at how Bettys in the UK makes their famous giant chocolate Easter eggs. 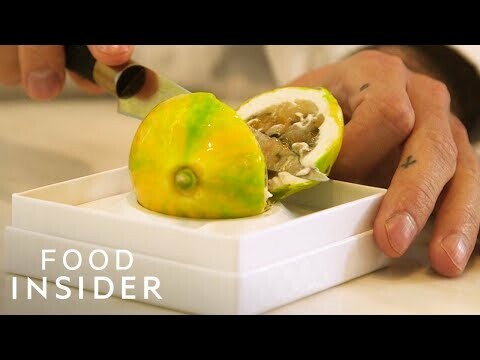 These hand made creations look delicious but come with a hefty $600 price tag. 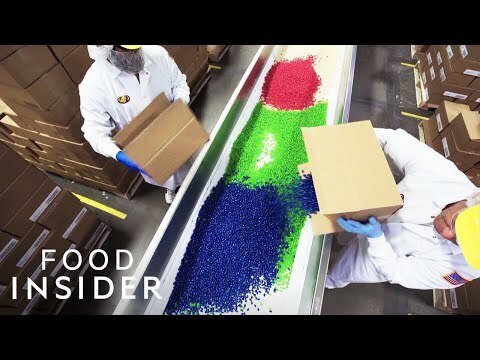 Everybody loves Jelly Beans but did you know making them is a long process taking between 7 to 14 days. 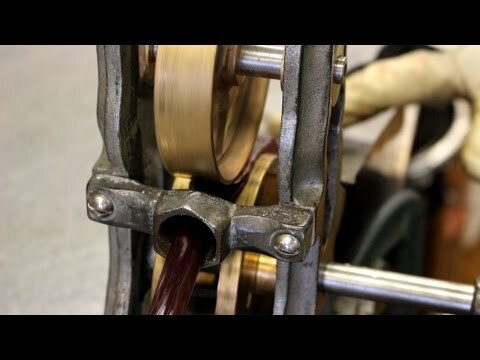 Let's take a look at what goes into making these sugary treat's. When it comes to the world of pizza there are those who love pineapple on their slice and those who are against it. 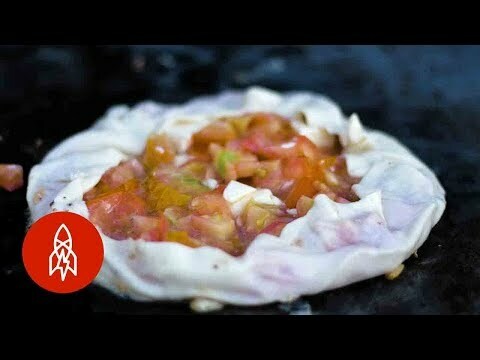 But I think we can all agree that these Zanzibar pizza's are a whole new level on WTF? Black Currant Hard Candy is as delicious as it sounds but for most American's it isn't something they would have tried because at one stage it was considered illegal. Would You Eat This Fatty Pastry Treat? Consisting of 30% butter and 30% sugar and made in the North of France, the Kouign-amann is the richest and fattiest pastry in Europe. 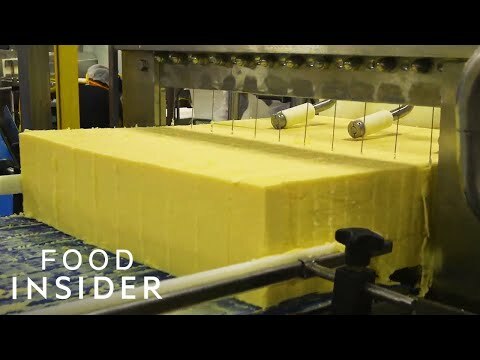 Just imagine biting into some of this delicious creamy Cheddar cheese from Vermont. It's made at Cabot Creamery in Vermont which has been around for over 100 years. When you go out to eat the last thing you want is to be served a dirty plate. 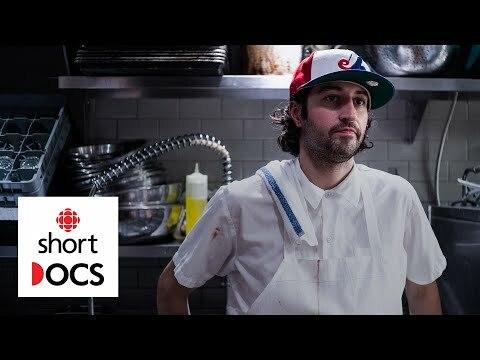 That's why dish pigs, or dishwashers as they are more commonly known, are so important to the efficient running of any restaurant. 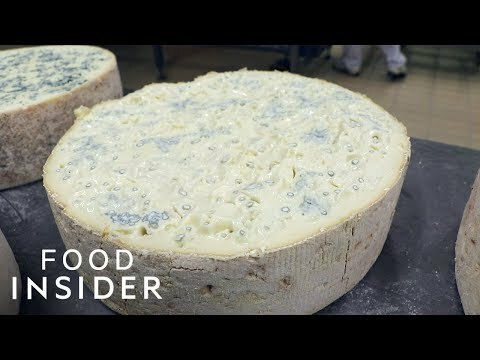 Gorgonzola cheese is the rich, creamy cheese surrounded by a haze of blue mold that people can't get enough of. Lets see how the Italian's make this famous cheese. What's the Difference Between a Crepe and Galette? 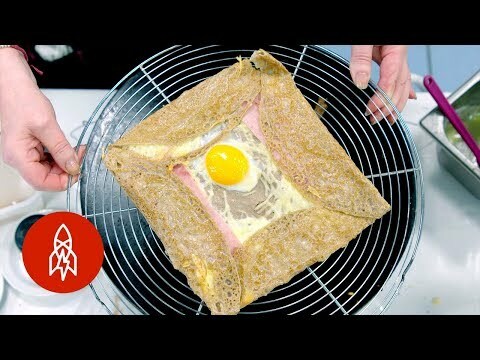 So what exactly is the difference between a crepe and a galette? Simply put a crepe is a sweet dish and the galette is salty. Other than that they both look pretty much the same. 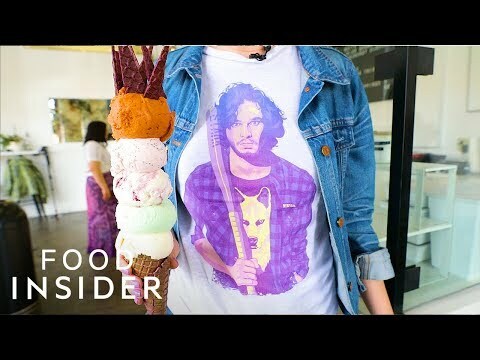 This stacked ice cream cone is inspired by the popular TV series Game Of Thrones with each ice cream scoop representing some aspect of the show. 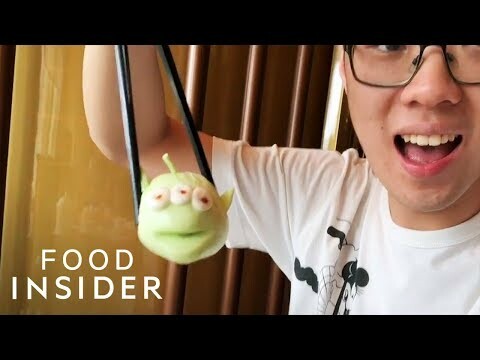 If you ever stay at Disney's Hong Kong hotel you can enjoy some tasty Dim Sum all decorated to look like your favorite Disney characters. Where do Swedish Meatballs Come From? Sweden is famous for many things and one of the most popular is their Swedish Meatballs. But where did it all start? Seaweed Butter may be new to you and me but in some places it's pretty stock standard. 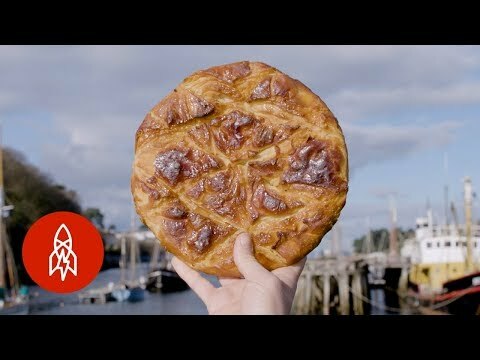 Take a look at how those in Brittany, France make their delicious spread.